I could barely sleep for excitement – knowing I would be taking a pregnancy test in the morning. And I found out that I am pregnant. I am with child. There’s a little BABY growing inside me. I’m in shock I think … disbelief … overjoyed. And yet not really entirely surprised. No, I take that back. I AM entirely surprised. Entirely. Absolutely. But the excitement was soon replaced by fear when I started spotting unexpectedly. My mind immediately went to the saddest place: miscarriage. At age 30, I’d walked alongside many friends on this journey of heartbreaking loss. I knew it was a very real possibility. So when my OB-GYN asked me to come in sooner than the scheduled appointment to see what was going on, I assumed the worst. My husband, Seth, accompanied me. So were they natural? (usually followed up with) Do twins run in your family? On to your next question – YES, twins run in my family. Both sides. My grandfather was a twin, and Seth’s great-grandmother was a twin. But what I learned through having twins is that twinning is only genetic if the twins are fraternal. Identical “just happens.” And twinning is only genetic through the maternal side of the family. So if I feel like being super-chatty with you in the checkout line, I might explain all that to you. And I may even tell you that my grandfather was an identical twin; and my husband’s twin history doesn’t count; so the *real* answer to your question is “no – twins don’t run in my family.” No other extended family member on either side has had twins in recent history. Thanks for following along, Kishia. And I’m glad I could help educate you. 😉 I’ve found it to be a tremendous gift that there has been so much twin-comaraderie at Trinity to help me each step of the journey! My daughter had unexpected identical twins. Little girls. It was pretty scary as her first was a preemie and high risk pregnancy so having twins were more ‘risky’. The first girl was 2 pounds 11 oz and the twins were 4.6 and 4.10… God Blessed us with beautiful little girls who are now ages 16 and 11. I love hearing about these twin-miracle stories. Thanks for sharing, Sharon, and I am thankful to hear that all three granddaughters are healthy. 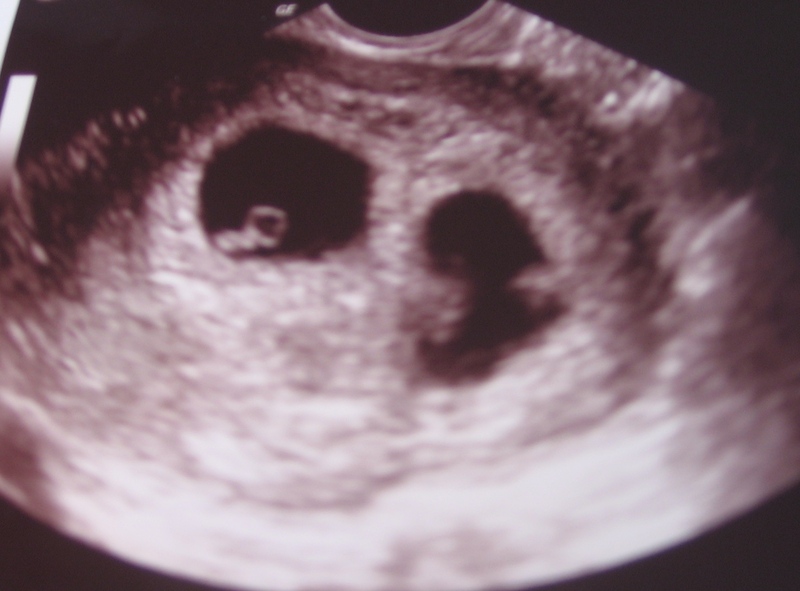 Twin pregnancy for me was a pretty harrowing journey at many turns. I hope you and your daughter will nod your head “yes” as you read along and add your thoughts, too. I am doing write31days too! I look forward to reading more of your posts. I can only imagine that phone call! I’ll have to follow along your twin story, too. Thanks for stopping by!